Enter code “BESTOF” and hit apply. Promo code must be used between March 26, 2013 12:00 morning and March 28, 2013, 11:59 p.m. There are so many great LivingSocial deals to choose from. Also, as with all daily deals, please make sure you read all the terms with each individual deal. Reminder: The Boston Duck Tour tickets are still available so if you are still on the fence, the promo code should take drop the ticket price to $19! (Please note that I have not personally tried the promo code on the duck tour as of yet). *I am an affiliate of LivingSocial, please read my disclosure policy here. Let us know what you applied the promo code too! The daily deal site LivingSocial has a great deal on the Boston Globe for the next two days. 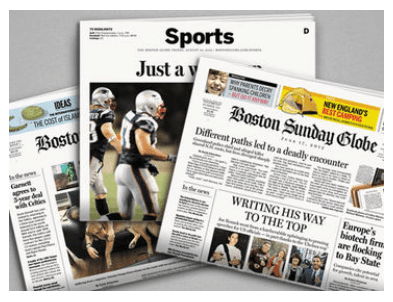 You can grab a 16-week subscription to the Boston Globe Sunday paper for just $20 and also includes unlimited access to BostonGlobe.com. It would break down to $1.25 per Sunday paper, which is pretty good. The Boston Globe typically sells for $3.50 and the Boston Herald sells for $2.00 at convenience stores. Funny enough I received a special “come back to us” offer from the Globe yesterday morning for around $2.60 per paper. I would say this LivingSocial deal is a good offer if you are on the fence about home delivery. This offer does exclude people who have received home delivery or digital subscriptions in the last 90 days. 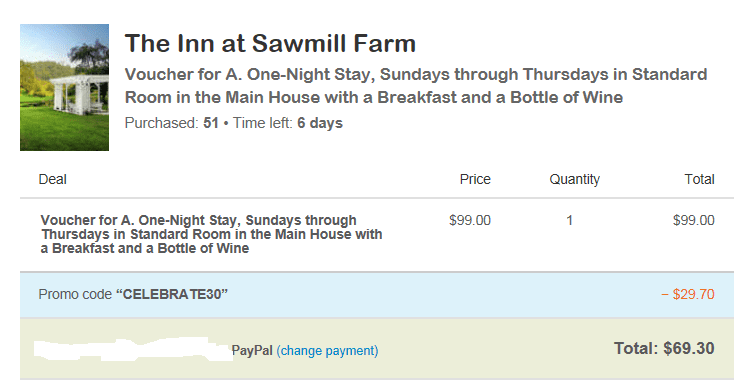 Please note that I am an affiliate of LivingSocial, please read my disclosure policy here. What do you think; is this a good deal? Have you done a LivingSocial Boston Globe deal in the past?